Reader Rob Caweg noticed a contribution from Bob Gooderson which included a menu from the Mandarin Room at the Edward Hotel. 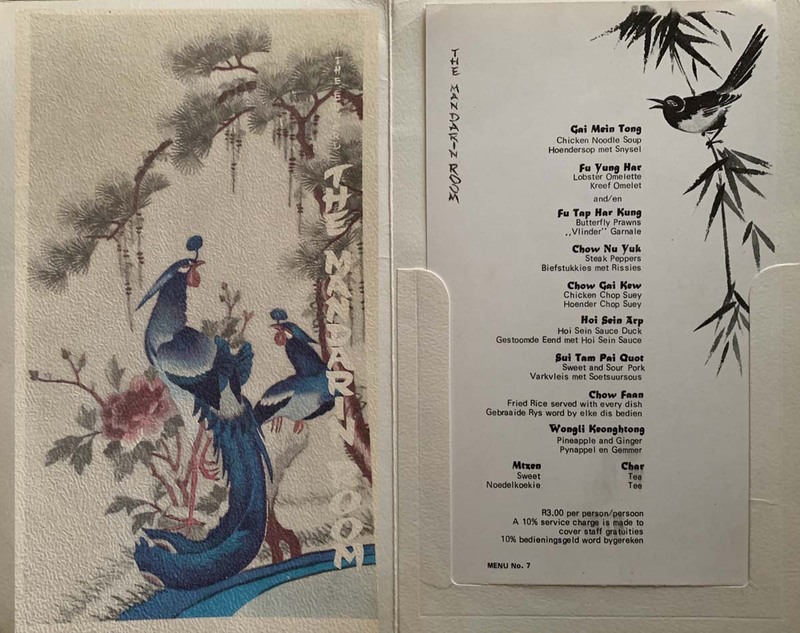 That menu dates from 1981 and Rob recalled that his father, a Dutch sea captain had dinner at the Mandarin Room about 10 years earlier and kept the menu from that occasion. At that stage the complete dinner cost a princely R3 per person which had gone up to R4 by 1981. Rob kindly photographed the menu and sent it along. Menu from the Edward Hotel’s Mandarin Room circa 1971. Picture courtesy Rob Caweg.